Daniel Davies is an Associate Editor with New World Encyclopedia whose area of expertise East Asian studies. His hometown is Seattle, Washington. In 2004 he moved with his family from Seattle to Rhinebeck, New York after spending nearly ten years living in South Korea. Before then, he visited many countries in Europe, the Middle East, Africa, and Asia. 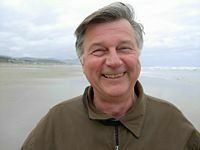 Dr. Davies began his studies in psychology, philosophy, religion, and theology at the University of Washington, Seattle (B.A. ), continuing at the Unification Theological Seminary in Barrytown, New York (Master of Religious Education), Southern Methodist University, Dallas, Texas (Master of Theology), Drew University (M.A. & Ph.D.). His teaching career includes the Unification Theological Seminary, Sun Moon University (Korea), University of Maryland: Korea Branch, Bridgeport International School, and the University of Bridgeport. Dr. Davies Ph.D. dissertation on the Life and Work of Henry G. Appenzeller (1858-1902): Missionary to Korea was published in book form. His writing mainly focuses on topics dealing with Korean religion. His fields of of teaching are history, philosophy, psychology, theology and religion. His life's loves are learning and teaching. For the passed seven years, Dr. Davies worked in the field of college consulting with My College Adviser, Inc. In 2007 Dr. Davies returned to teaching at the University of Bridgeport, while continuing with college consulting. His future plans are to offer plans for a Peace Campus, and create a Course on Happiness at the University of Bridgeport for the summer session 2008. He is also involved with writing a manuscript on the coming of the Kingdom of God. His interests and hobbies include the interests of his youth; drums, hiking, bicycling, swimming, and bowling. This page was last modified on 5 January 2008, at 19:07.